ICC Belfast was chosen as the host venue for the European premiere of the eighth and final series of HBO global blockbuster, Game of Thrones. The series, which had its global premiere in Radio City Music Hall, NYC earlier this month is set to hit screens on 14 April, a bittersweet date for the fans as it draws to an end after eight years. Game of Thrones has been instrumental to Northern Ireland’s screen tourism economy, luring fans from all over the world to visit the many filming locations. These productions have helped to showcase the beauty and natural landscape Northern Ireland has to offer to a worldwide audience and has created opportunities for the tourism industry to develop exciting and engaging tourism experiences built around the locations used for filming. 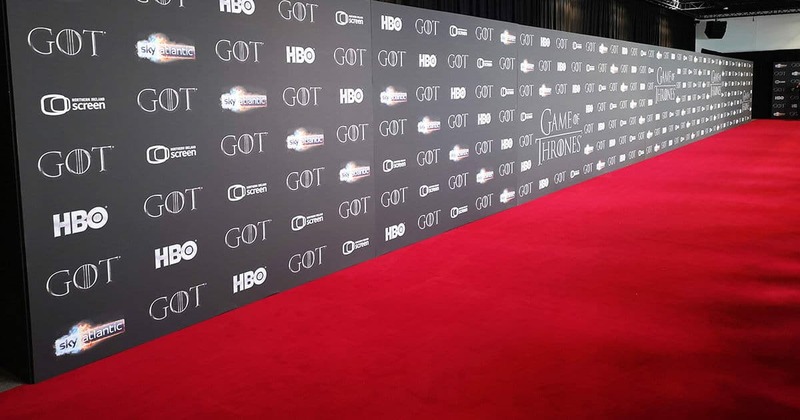 In June of last year, ICC Belfast hosted the Game of Thrones Series 8 wrap party, which brought together cast and crew in an epic celebration of what has been one of TV’s most talked about series of recent years. One particular highlight was the show’s triumphant return to the 2018 Emmy Awards where the show scooped the night’s biggest award: outstanding drama series. Guests attending the event in ICC Belfast will gather for the first European screening of the final episode and then move through the venue for an after-party designed by HBO’s long-time partner the inimitable Billy Butchkavitz, the creative force behind some of Hollywood’s most decadent events. ICC Belfast’s flexible event space will be totally transformed by our in-house team of event experts following the venue-wide Microbiology Society conference, which took place from 8 – 11 April. Our catering partners Hospitality Belfast have also designed a bespoke menu ensuring that guests will be treated to an event experience to remember. For fans who are not yet ready to say farewell to the show, the Game of Thrones Touring Exhibition is showing in Belfast until 1 September in the Titanic Exhibition Centre, giving fans an opportunity to step inside Westeros and the lands beyond.